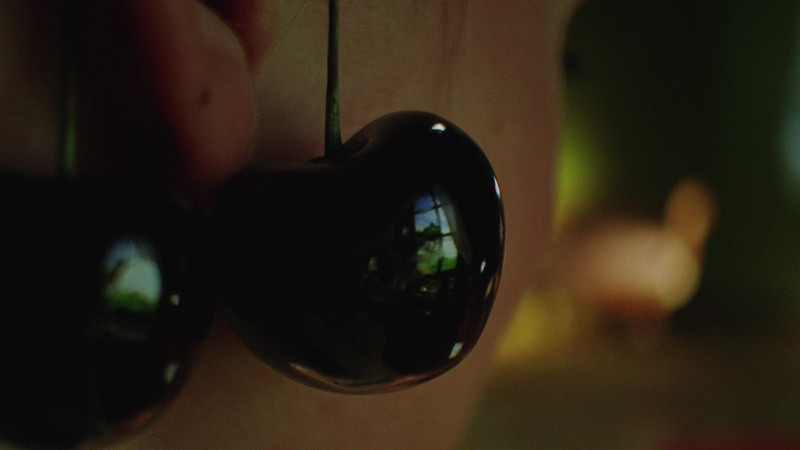 Note / In Kersentijd (Cherry Season), a young woman playfully hangs a cherry-bob on her ear. 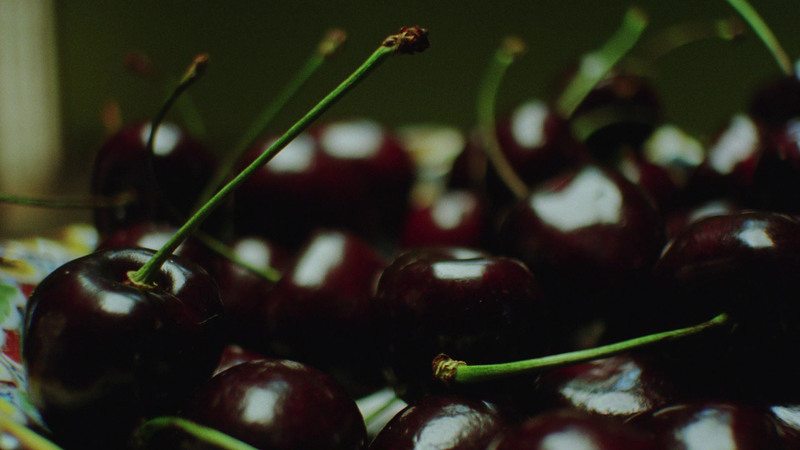 From the intimate intrusiveness, a sensual painterly space emerges: on the shiny surface of the cherries is the reflection of an open window with curtains moving in the wind. Through her mirroring of the immense in the minute, Van Warmerdam manages to inject a magical quality to something as ordinary as a pair of cherries. The two-and-a-half minute sequence is one camera movement looped and will be experienced as a continuous flow. As the film is ‘one big close-up’, the screen is relatively monumental in relation to the space, encouraging the viewer to be immersed in the work.